PESHAWAR -- Pakistani Christians staged rallies in several cities throughout the country ahead of Christmas to praise the return of peace and promote tolerance and inter-faith harmony. A peace rally was held by the members of the Christian community in Saddar Bazaar, Peshawar, on Sunday (December 18). The peace march started from the Saint John Cathedral Church. It ended in the same spot after participants marched down local streets. The marchers included local Muslims who participated in the rally as a goodwill gesture and to promote religious harmony. The men and women marching carried banners and placards inscribed with slogans of "Long live Pakistan" and "Long live Khyber Pakhtunkhwa". "The purpose of the march is to promote religious harmony and to work together for peace and development in the country," said Bishop Sarfaraz Peter, who led the march. The goal "is to promote tolerance and urge people to better understand each others' religions", he told Pakistan Forward. Christians comprise an estimated 1.6% of the Pakistani population, according to AFP. Also this week, Pakistanis welcomed the Christmas Peace Train launched by Pakistan Railways. Pakistani Minister of Railways Khawaja Saad Rafique and Minister of Human Rights Kamran Michael inaugurated the train in Islamabad Thursday (December 22). "The train will carry the message of inter-faith harmony and will highlight the strong bond of Pakistani Muslims and Christians," Rafique told Pakistan Forward. The train symbolises peace, love, equality and harmony and will spread its message all over the country, Michael told Pakistan Forward. "Minorities believe in love and humanity and will continue playing their pivotal role in development of Pakistan," he said. "Everybody will celebrate Christmas together," Michael told AFP, adding that members of the public would be welcome to visit the train and see its exhibits along its many stops. Many youth welcomed the train in Peshawar when it arrived from Islamabad. The train is decorated inside and outside with festive Christmas images, colourful lights and a large sleigh carrying Santa Claus. The train will continue its journey through various cities such as Jhelum, Lahore, Sahiwal, Rohri, Tando Adam and Hyderabad until it reaches Karachi on December 31. 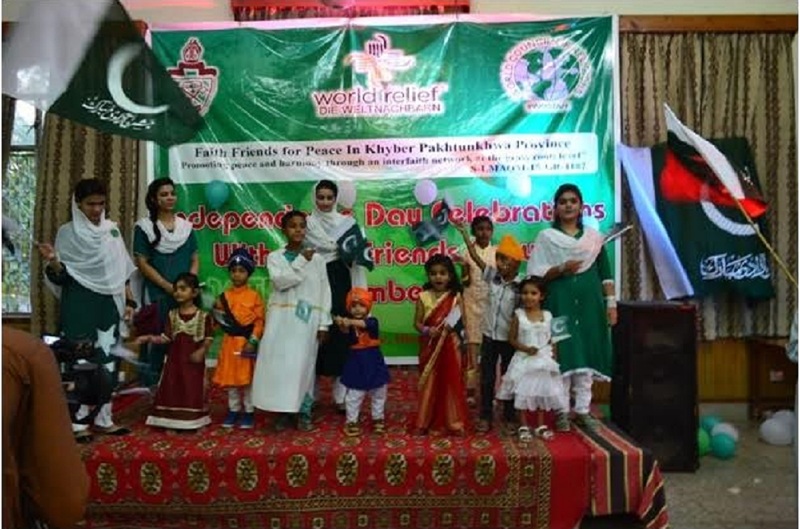 "The rallies and train march will further improve inter-faith harmony between Muslims and Christians all over Pakistan," said Kashif Aziz, a journalist covering the train event in Peshawar. More such events should take place regularly, he told Pakistan Forward. Christians in Karachi organised their own pro-peace rally Wednesday (December 21). The participants marched through various Karachi bazaars, accompanied by colourful camel-drawn carts. Nationwide, Muslims not only are participating in the rallies but also are hosting functions for Christian friends and neighbours. "We have planned to arrange a small function for one Christian family that has been living in our area for many years," said Muhammad Ishaq, a resident of a suburban town in Peshawar. The family was delighted by the gesture, he told Pakistan Forward. While many Christians have illuminated their houses, churches and other places to celebrate the advent of Christmas, police have stepped up security at churches and residential colonies to ensure a safe and festive holiday. "We increased patrols and upgraded church protection to ensure security during Christmas," Senior Superintendent of Police Operations in Peshawar Sajjad Khan told Pakistan Forward. Officers are on alert throughout Peshawar and Khyber Pakhtunkhwa (KP) Province to keep Christians safe during Christmas, he said. 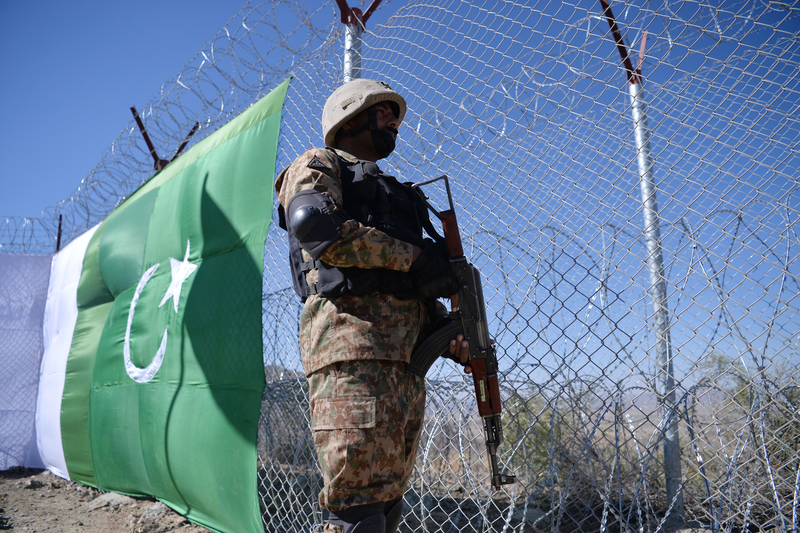 The effort to protect observance of Christmas comes after security forces thwarted a major terrorist attack on Christian Colony , a neighbourhood on the outskirts of Peshawar, during the first week of September. All four would-be suicide bombers were killed before they could target residents of the neighbourhood. The swift response of the security forces and their quick arrest of the suspected masterminds of the attack gave the Christian community a renewed sense of relief. 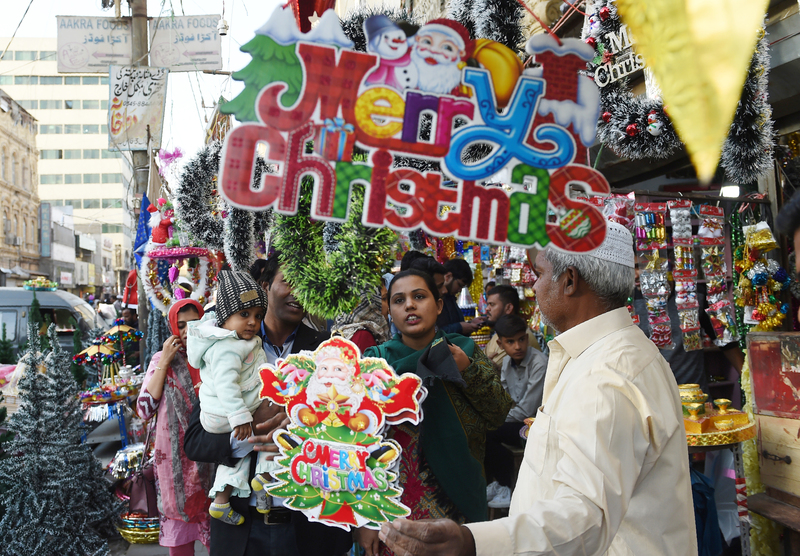 Pakistani Christians are expressing satisfaction with the security measures in place for Christmas, as well as with the support they are receiving from Muslims. "Adequate security measures have been taken at churches and other places ahead of Christmas," said Shahid Bhatti, a Christian living in Peshawar. "The preparations for Christmas has begun already with many stores selling Christmas trees, Santa Claus costumes and other gifts," he told Pakistan Forward. Bhatti expressed appreciation for the efforts by the government and security forces to restore peace and to destroy militant networks that have attacked Muslim and Christian houses of worship in past years. Christmas trees, colourful lights and glittery decorations signal the start of Christmas celebrations. With an improved security situation, economic growth in county is speeding up, say observers.